This is an extremely useful product that has thousands of home, commercial, and industrial uses. 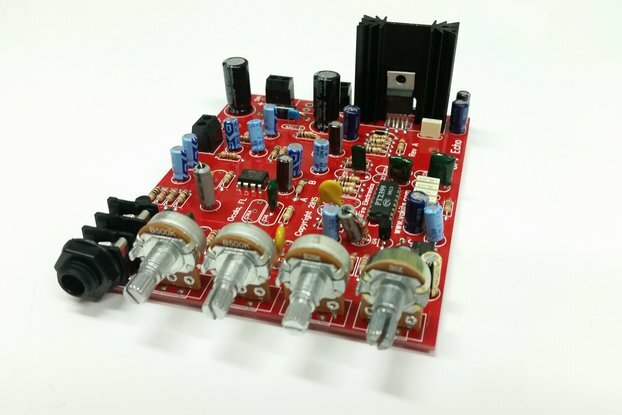 This is the Relay I/O Module Kit. This is an extremely useful product that has thousands of home, commercial, and industrial uses. 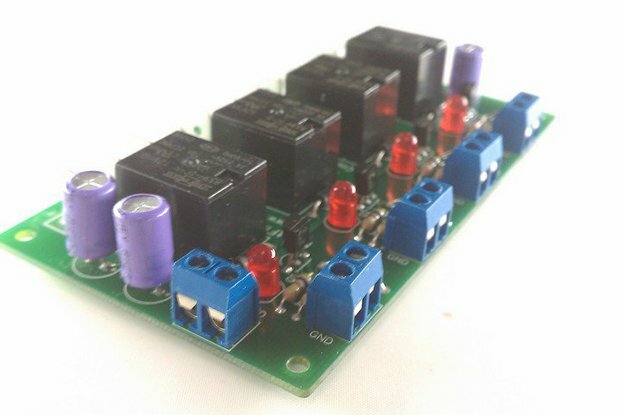 It consists of a PCB with 4 independent Relay circuits. 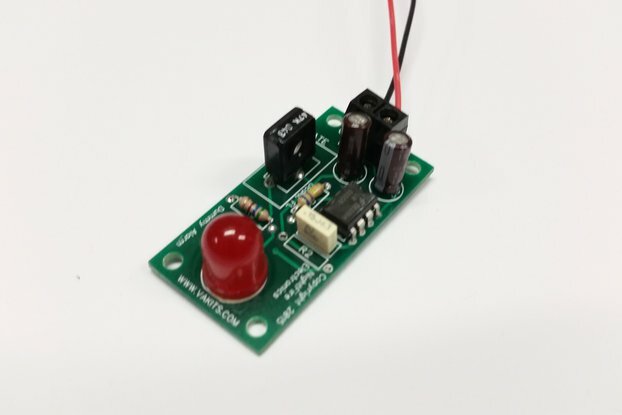 Each Relay circuit consists of one Relay, one LED indicator, and one Logic driver. The Logic driver is a transistor input that can take a positive signal from 3v to 15v and turn on the relay as long as the input is positive. Yes, it can be driven by an Arduino. 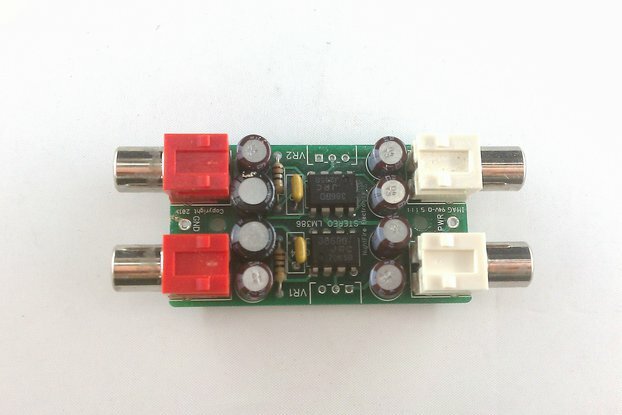 It has negative voltage protection so that a negative input will not harm the circuit. 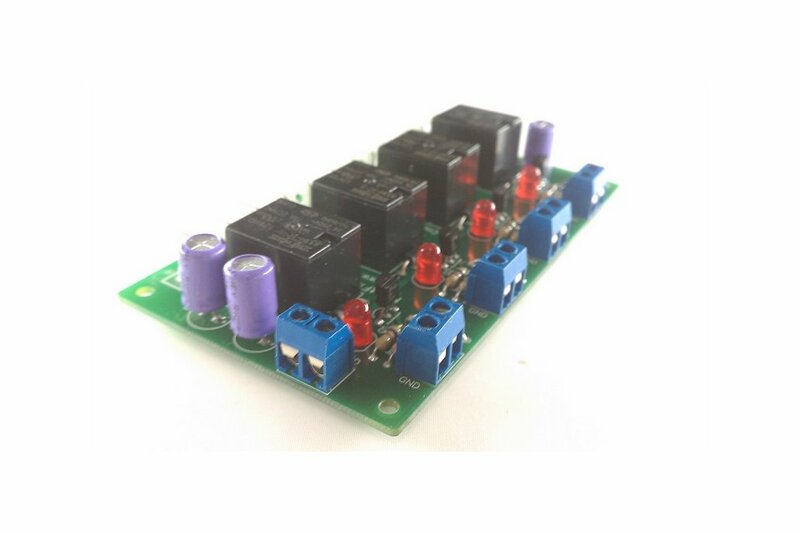 Use this Relay I/O Module as an interface to your microprocessor projects to turn on much heavier AC or DC loads. This can be interfaced to all of the PIC microprocessors, Arduino controllers, and more. Each Relay is an 833H series SPDT relay with Form 1C contacts rated for 7 Amps @ 250VAC. It has a 9VDC coil. The Relay contacts are available as .250" quick disconnect Faston connectors. The available contacts are the Common, NO (Normally Open) and NC (Normally Closed). This means that the circuit can either turn a device ON or turn a device OFF. 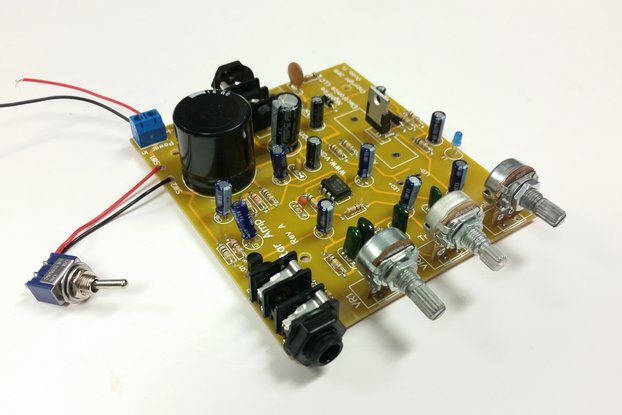 The PCB has on-board Power Filtering and an LED Indicator for power. Screw Terminals are used for the Power (+9v) and Input Signals while .250" Faston (Quick Connect) tabs are used for the Relay contacts. The PCB is double-sided, plated thru-holes, 4.30" long x 2.46" wide made of .062" FR-4 epoxy glass with 1-oz copper. It has green Solder Mask (LPI) on both sides with white Silk Screen on the Top side. It includes four mounting holes. 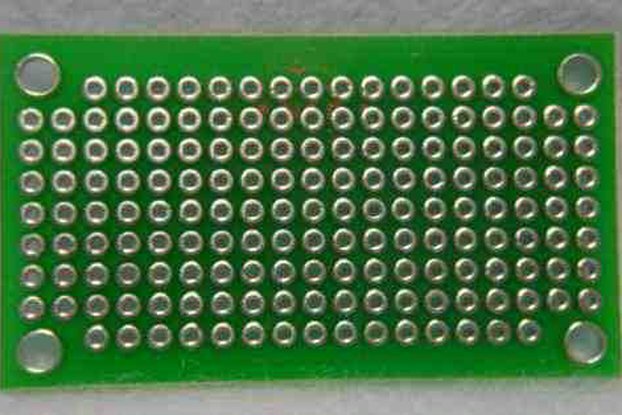 The PCB traces for the Relay outputs are extra-wide on Top and Bottom sides for current-carrying capabilities. Fully assembled, the PCB is less than .70" high. You will need tools such as a soldering iron, solder, wire cutters, etc. 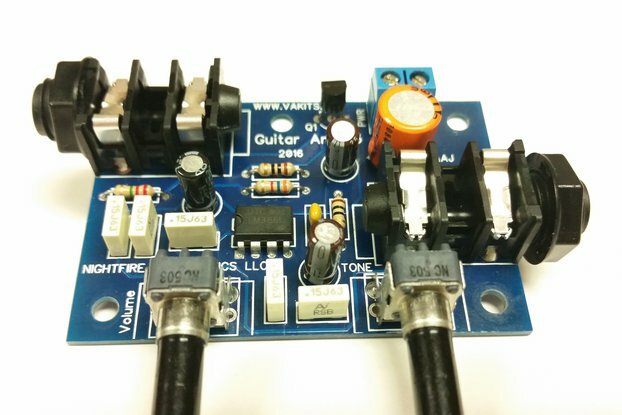 You will get all of the components, including the PCB, Schematics, and general construction notes. This kit is also offered as a Built & Tested for those that do not want to build the kit themselves.